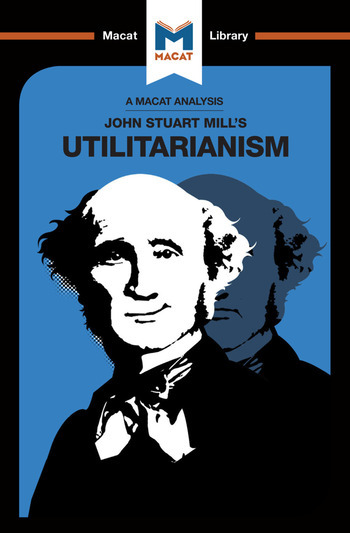 John Stuart Mill’s 1861 Utilitarianism remains one of the most widely known and influential works of moral philosophy ever written. It is also a model of critical thinking – one in which Mill’s reasoning and interpretation skills are used to create a well-structured, watertight, persuasive argument for his position on core questions in ethics. The central question, for Mill, was to decide upon a valid definition of right and wrong, and reason out his moral theory from there. Laying down valid, defensible definitions is a crucial aspect of good interpretative thinking, and Mill gets his in as early as possible. Actions are good, he suggests, if they increase happiness, and bad if they reduce happiness. But, vitally, it is not our own happiness that matters, but the total happiness of all those affected by a given action. From this interpretation of moral good, Mill is able to systematically reason out a coherent framework for calculating and judging overall happiness, while considering different kinds and qualities of happiness. Like any good example of reasoning, Mill’s argument consistently takes account of possible objections, building them into the structure of the book in order to acknowledge and counter them as he goes. Dr Patrick Tom holds masters degrees from Notre Dame, Leeds and the University of Zimbabwe, and a PhD in politics and international relations from the University of St Andrews. He currently works for the Zimbabwe Policy Dialogue Institute. Dr Sander Werkhoven holds a PhD in philosophy from the University of Warwick. He is currently a member of the Department of Philosophy and Religious Studies at the University of Utrecht, where he specialises in ethics and the philosophy of medicine.